Like Nicki Minaj, Amanda Palmer, Lady Gaga and so many other generationally “smart” current names in rock and pop, British-born Ellie Goulding is all about fan participation. 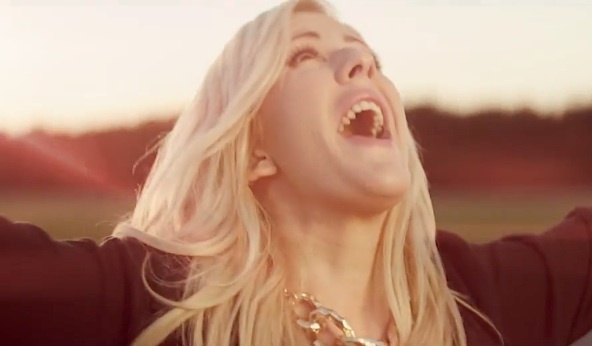 Before the release of her new video for “Burn,” Goulding, currently touring in North America with Bruno Mars, invited fans to send in Vine clips of them showing love for close friends with the hashtag #ellieburnvine, many of which made it into a separate video made to get them ready for the official one. No word on whether or not “Burn” or her previously unreleased Halcyon track “You, My Everything” (from Skins Fire) will make it onto her Moonshine Jungle Tour setlist. Previous Previous post: UFC Wonderman Anderson Silva Finally Lost a Fight, Was it Fixed?